The manufacturing sector is characterised by a highly competitive environment. In order for industry players to gain market share, they must be able to contain costs, increase customer responsiveness, improve operating efficiencies, decrease time-to-market, and out-innovate competitors. The environment in which manufacturers operate is extremely dynamic and interactive. Agility and the ability to deliver quality products at cost-effective rates is imperative for the success of this industry. Techno Brain addresses the needs of the manufacturing industry across its value chain. The solutions are deployed in a modular and scalable manner, which can be easily integrated and re-configured. Techno Brain’s ‘project-to-product’ cycle helps to standardise industry specific solutions, resulting in quicker time-to-market, shorter payback periods, and proven results. Techno Brain’s InspireHRM™ is an Enterprise Human Resource and Payroll Management System designed to automate and streamline HR and payroll processes. The product can be seamlessly integrated with financial softwares such as – MS Dynamics NAV, along with other ERP packages, which will enable effective maintenance of payrolls, taxes, and finances. Techno Brain’s ‘SmartFleet™’ is a customised Fleet Management System, designed to intelligently control all types of fleet. The solution enables companies to track their fleet daily, while accurately monitoring mileage and fuel consumption, maintaining the wear and tear of vehicles, and reporting driver-related incidents. Techno Brain offers a fully-featured financial solution for effectively managing operations and transactions. Easy to deploy and maintain, the solution is built on Dynamics technology, and meets the needs of organisations through multi-site location features. Microsoft Dynamics allows the system to be centrally installed so that remote branches can seamlessly connect via the web over existing VPN network. This solution helps to jumpstart financial insights and distribution management, which can then be easily extended to all functional areas. A premier customer experience and better customer interaction management is the heart of Techno Brain’s CRM division. Techno Brain’s CRM solution helps organisations improve their revenue by increasing product ratio to existing customers and increasing recruitment activities for new customers. Our solution maximises every customer interaction in a cost-effective manner. Its features include - detailed information about customer interaction history, 360 degree view of customers, campaigns and complaints, non-STP transactions, call-centre automation, customer branch screens, and management of all customer activities across channels. Techno Brain provides a portfolio of IT products and a complete suite of Enterprise Resource Planning (ERP) solutions, to enable effective management of various functional areas, such as - human resources, project management, auditing, accounting, and financial, etc. Techno Brain leverages its domain expertise, qualified pool of professionals, experience in 200+ successful project execution, as well as its path-breaking methodologies to deliver quality products and solutions to enterprises. Our ERP portfolio enables enterprises to achieve a holistic view of their business. Enterprises can identify new opportunities easily, and adapt to various environments. In addition, enterprises can effectively mitigate risk. Our solutions enable organisations to achieve better performance, scale operations, reduce costs, and streamline processes. National Cement Share Company (NCSC) was looking for a system that would help them share information seamlessly, while ensuring data integrity across the organisation. They partnered with Techno Brain, who implemented Dynamics NAV based Enterprise Resource Planning (ERP) System, thereby enabling NCSC to track and share information in real time. In addition, the solution fostered flexible and streamlined processes, integrated delivery of information, better decision making, swift response time, and customer satisfaction. SBC Tanzania Ltd., is a large manufacturing organization based in Africa. With more than a thousand employees spread across various offices, SBC was looking for an effective payroll system to address specific payroll processing requirements. To meet their demands, Techno Brain implemented a Payroll Application, which uses Microsoft VB.Net as the front end, Crystal reports as the reporting tool, and MS SQL Server 2005 as the back end. After thorough analysis and customisation, the system was deployed on the client’s server. An application security was in built into the system in order to avoid data tampering. The solution addressed statutory deductions, mid-month and monthly salary processing, night allowance calculations, loans and advances, and printing of salary slips. Adama Spinning Factory was established as a yarn-spinning manufacturer in 2008, and over the years has significantly increased their production rate of spun yarn. With a complete range of the latest state-of-the-art spinning machines, the factory is committed to uphold international quality standards. Currently certified with ISO 9001:2008 QMS and Worldwide Responsible Accredited Production (WRAP), Adama Spinning Factory in collaboration with Techno Brain, implemented an end-to-end Enterprise Resource Planning (ERP) system. This helped them to further improve operational efficiency, achieve optimal resource utilisation, enhance customer relations, sharpen their competitive edge, and better connect with all employees. 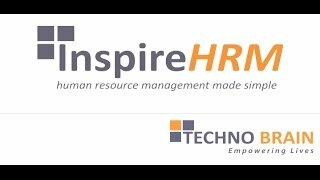 In addition, Techno Brain also deployed their InspireHRM™ solution to streamline HR processes with the ERP system. This facilitated cost-effective and quick processing time. It also helped tracked attendance, train employees, and enable effective workforce planning. Serengeti Breweries Limited is one of the leading breweries manufacturing & distributing company in Tanzania. Established in 2000, Serengeti Breweries is headquartered in Dar es Salaam and has various warehouses across Tanzania. The Nile Equatorial Lakes Subsidiary Action Program (NELSAP) is an investment program within the framework of the Nile Basin Initiative (NBI).